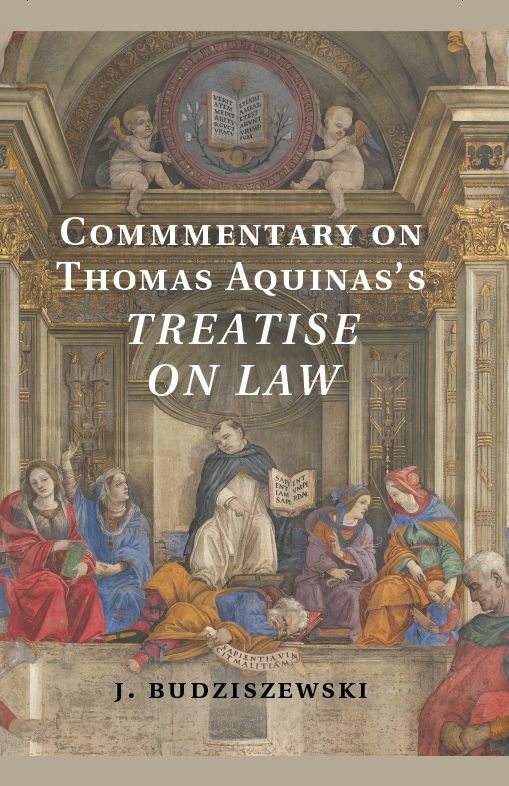 This book is actually two books: A printed book, Commentary on Thomas Aquinas's Treatise on Law (which you can buy from Amazon or buy from Cambridge), and a free online supplement called the Companion to the Commentary (which you can download from my website or download from Cambridge University Press). The Commentary is a classical, line-by-line exploration of Summa Theologiae, I-II, Questions 90-97. The Companion includes additional line-by-line commentary on selections from Questions 98-108, as well as thematic discussions of various fundamental issues in the Treatise on Law, keyed to the Articles in which they appear. Why not combine the Commentary and Companion into a single book? Originally they were a single book, but it would have been too long, and my editor thinks a book shouldn’t be like a concrete block. I've noticed, though, that the Kindle electronic edition of the Commentary actually includes the Companion! I have no idea how that happened, but I'm pleased about it. How is this Commentary Arranged?